Apple cider vinegar is something that has been used to treat various health ailments for years now. It has been used for years as an additive to food dishes, condiments, sauces and has been a go to treatment for home remedies. 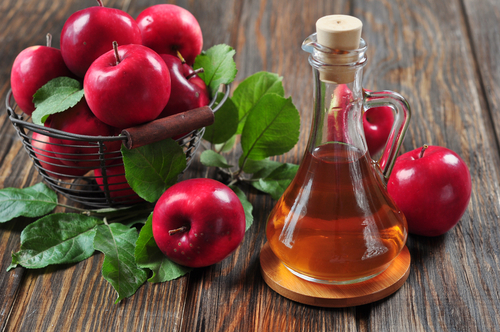 Many people have heard of apple cider vinegar before but have never used it or seen it themselves. Apple cider vinegar is something that everyone should keep in their pantry because it is relatively cheap, keeps well and of course provides many benefits to their health overall. What Can Apple Cider Vinegar Be Used For? Instead of spending a fortune on whitening strips or other types of products that are used to whiten teeth, grab some apple cider vinegar. 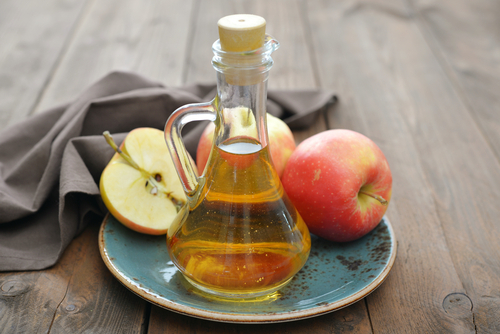 The acids found within apple cider vinegar have a low pH which can be used to remove surface stains from the teeth. To whiten your teeth with apple cider vinegar, apply some to your teeth with an old toothbrush or even your finger, and let it sit for a minute or so. Afterwards brush your teeth as you normally would, and you will start to see those surface stains disappear. Apple cider vinegar is not only effective in helping a person to lose weight, but taking it regularly can help them keep it off as well. Apple cider vinegar is believed to be able to help us lose weight because of the acetic acid it contains, which studies have shown to reduce body fat. In addition, apple cider vinegar has a very low glycemic index which helps to regulate blood sugar levels. Consuming apple cider vinegar with a meal has also shown to reduce cravings as well, causing the individual to consume less calories and thus lose more weight in the process. One of the major underlying causes of acid reflux is an upset of the balance of “good” bacteria in the gut versus “bad” bacteria. When too many of these bad bacteria grow in our gut, they crowd out the good bacteria, the ones that actually carry out the digestive process for us. When this happens, it leads to things like indigestion, heartburn and could even possibly lead to more serious problems like stomach or intestinal ulcers. 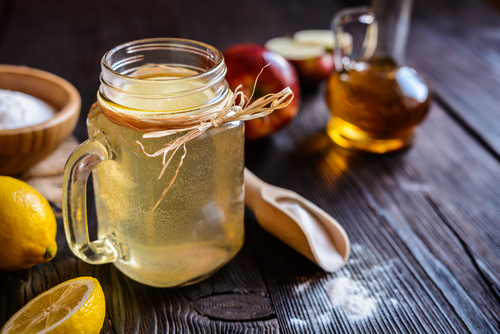 Apple cider vinegar can help reduce the symptoms of acid reflux because it contains these beneficial bacteria along with enzymes which help to correct and better balance the digestive process. Just a tablespoon or two of acid cider vinegar diluted in your favorite drink before a meal can help reduce your chances of having acid reflux or indigestion. Too many triglycerides, or fat in our blood can cause a host of cardiovascular problems in the body, which apple cider vinegar helps to reduce. We get these triglycerides from our diet, which comes from either animal fat or fat found within plants. Too much of this fat in our blood can cause it to become too thick, which in turn makes it more difficult to move throughout the body. The heart has to put in additional work to pump this thick blood throughout the body, straining the heart which puts the person at risk for a heart attack or a stroke. Apple cider vinegar has shown to both reduce the level of triglycerides in the blood, and reduce blood pressure as a result. Apple cider vinegar has excellent anti-fungal and anti-bacterial properties as well, making it extremely useful in the maintenance of the exterior of the body as well. It can be useful in keeping the skin, nails and hair healthy. Apple cider vinegar can be used as a wash to clean the skin, and is especially effective in treating skin problems like athlete’s foot or any other type of fungal infection of the skin. If you are suffering from a sunburn or if you get a rash from contact with poison ivy, apple cider vinegar can be useful there as well. Use it along with essential oils to help soothe your sunburn. The potassium found within the apple cider vinegar can help reduce inflammation caused from exposure to poison ivy. Apple cider vinegar can even be used on our pets to prevent flea infestations. The applications for this powerful supplement seem endless given the more and more uses we find for it as time progresses.